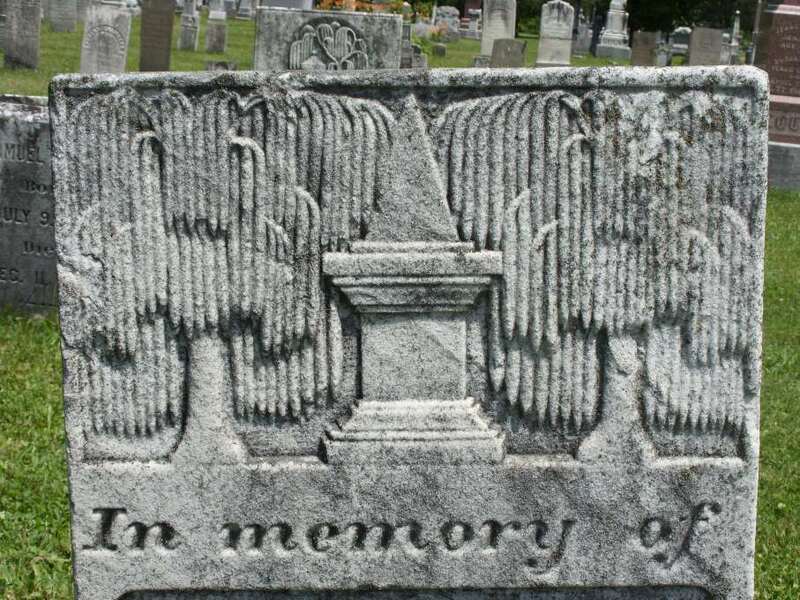 Early American example of funeral urn with Tree of Life sprouting from the top. 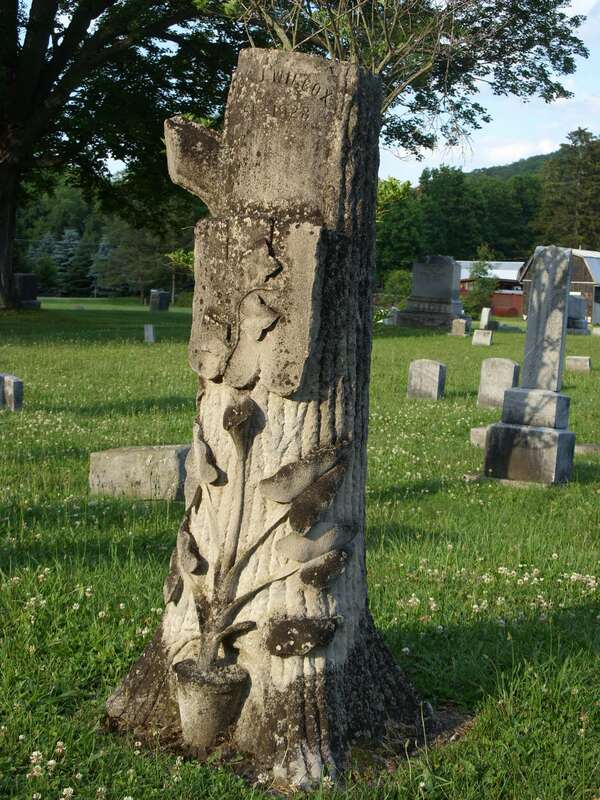 Athens, PA.
Woodmen of the World grave marker. This article first appeared 6 Oct. 2010 in the Tioga County Courier, Owego, NY. Ah, that first English assignment when returning to school after the summer off. How I always looked forward to that moment. Yes, I was a strange child, but I think that was established some time ago and I have since grown up to be a bit left-of-center adult. Now that school is out for the kiddies, my mind drifts back to those care-free days and those two months of pretty much doing as I pleased. Oh, to be that kid again. When I realized that the “What I Did On My Summer Vacation” writing assignment was pretty much an annual event for English teachers, I began to consider what odd thing I could do to make my assignment stand out from the rest of the Muggle Crowd. (Of course, we didn’t have Muggles back then as these were the pre-Harry Potter days, but you get the idea.) God forbid I should do something entirely normal. I can’t remember all of those summers, but there is one that sticks out in my mind the most. 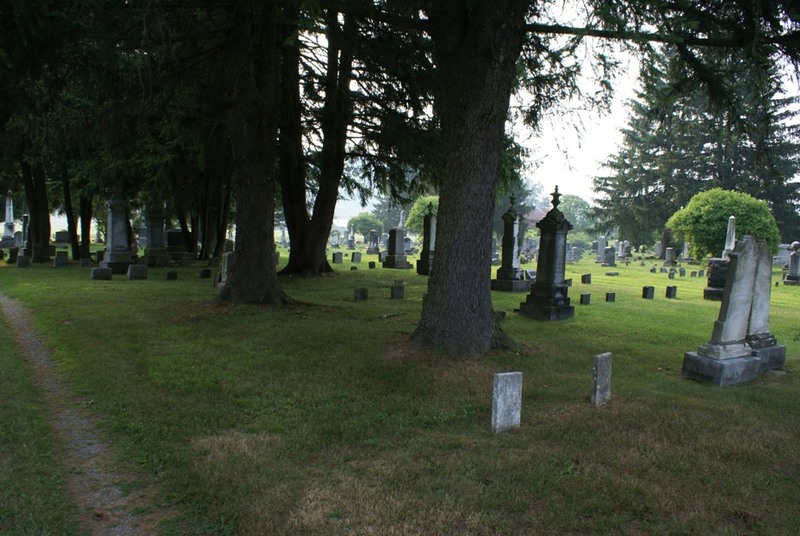 I spent at least three weeks of one particular summer vacation in the nearby cemetery. Well, not full time there, but during the days. I probably would have spent the nights, but I’m sure my parents (as well as the authorities) would have frowned on such a thing. I’ve never had a fear of cemeteries like so many people do. No idea why. They just aren’t in the least bit scary to me day or night. 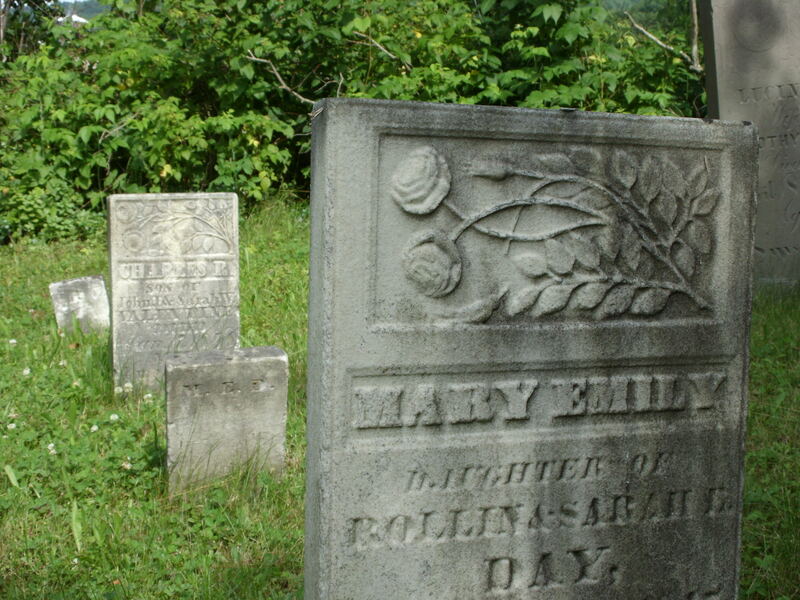 I’ve always enjoyed wandering among headstones taking pictures and enjoying the peace and restful quiet they offer. On this particular summer, however, I was on a mission. At least three days a week for nearly a month, I’d load up my Army green backpack with lunch, my little transistor radio, lined paper, graph paper, a supply of pencils and a sharpener, a pen, and my camera in the morning. I’d toss it over my back and hop onto my bike for the mile and a half ride to Berkshire Evergreen Cemetery. Once there, I’d set to work. I worked my way north to south, west to east, getting deeper and deeper into the cemetery. One by one my graph paper filled with tiny black squares, each marked with its own unique number. Each one set in a sub-divided section of the grounds created by the various roadways throughout. On my lined paper I started with Section 1. 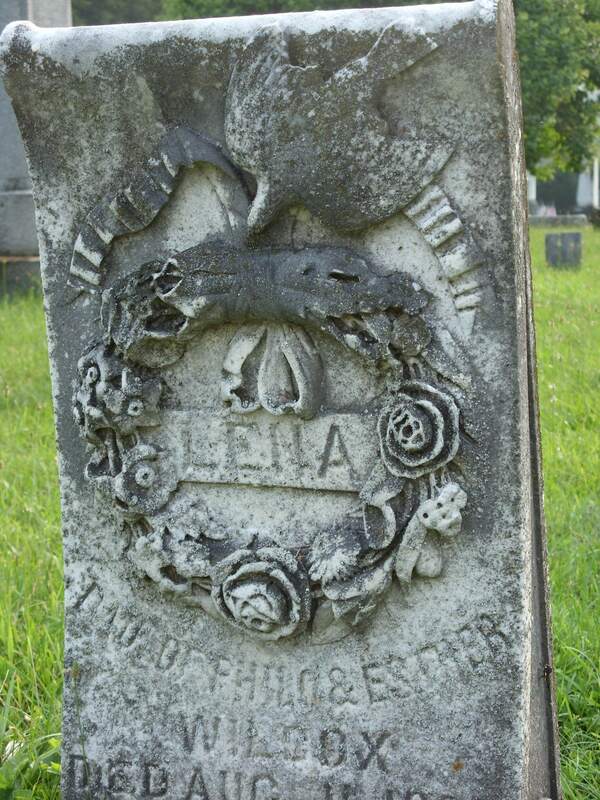 Grave #1. And wrote down everything on the headstone associated with that space. 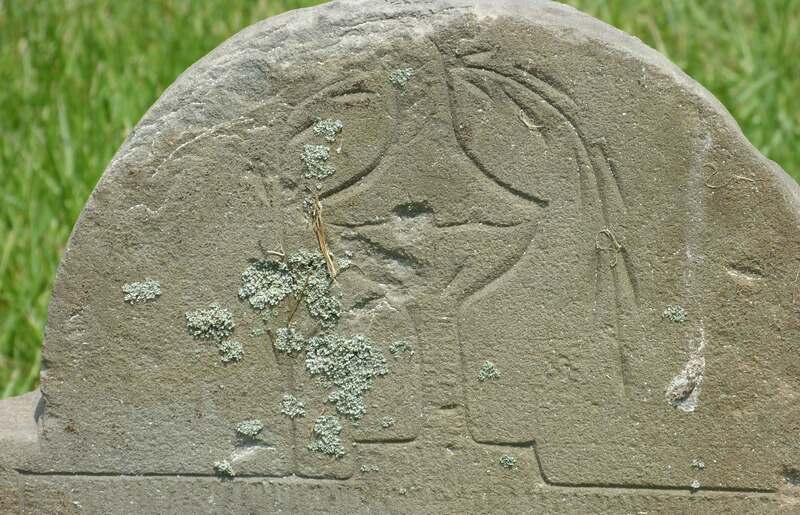 My goal was to document and map every headstone in the place. That, to me, was summertime fun! I couldn’t have been happier or prouder of my time spent there. This was a huge undertaking even for an adult and here I was probably about 12-13 years old doing it all on my own for the mere amusement of the thing. I did eventually complete the project and boy did I have something unusual to write about come September and the inevitable English essay. Unfortunately, this tale does not have the ending I wish it did. For years I kept that project alive. I’d add black squares and information as new graves were created. But… now, almost forty years later, I have NO idea whatsoever what happened to the folder I had it all in. That really could have been a useful tool for future genealogists! I can’t imagine throwing it out. I can’t imagine either of my parents throwing it out had they come across it over the years. I mean, sheesh, my dad once presented me with a small composition notebook he’d found from my elementary school days full of little stories I’d written as writing assignments! The years have gone by and I no longer have to write “What I Did On My Summer Vacation” essays for English class, but I kind of wish I did. Vacations don’t last for two months anymore and they usually don’t take place in the summer. I’m old and try to escape the New York winters for a couple weeks now. That isn’t to say that I still don’t enjoy spending some of my summer days wandering through nearby cemeteries taking pictures and enjoying the peace and quiet that being surrounded by the dead brings me. Old habits die hard and I’d rather this one not pass away until I do. So.. what are your plans for summer vacation? 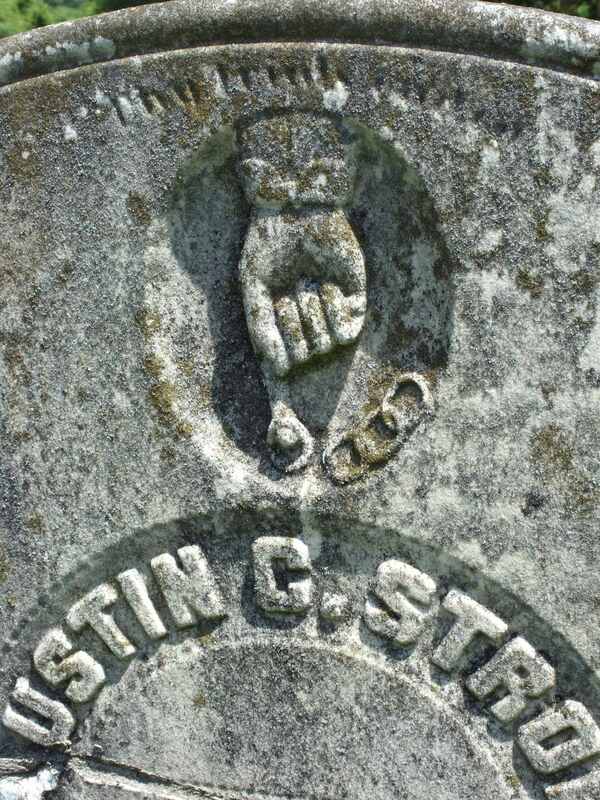 Featured Image: Berkshire Evergreen Cemetery, Berkshire, NY. Courtesy of the author.